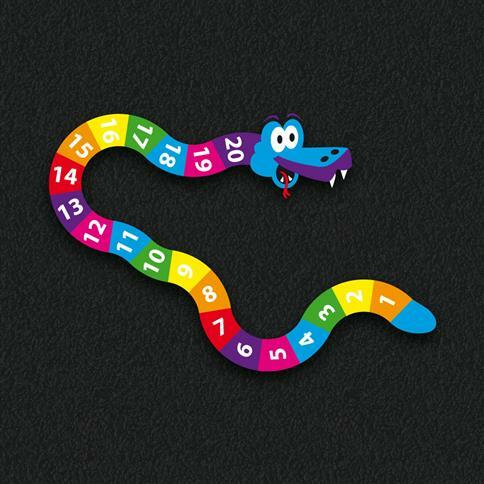 The 1-20 Number Snake will promote the use of number names during play. Children will naturally memorise the numbers and recite the important 1-20. The snake playground marking design, adds an element of fun, making playground maths more exciting. An excellent resource for any teacher looking to create some exciting outdoor activities for both maths and physical development.